CHESTERTOWN, MD—The Kohl Gallery of Art at Washington College will soon exhibit an exquisite collection of rare volumes and prints with illustrations by some of the finest artists of the 19th and early 20th centuries. 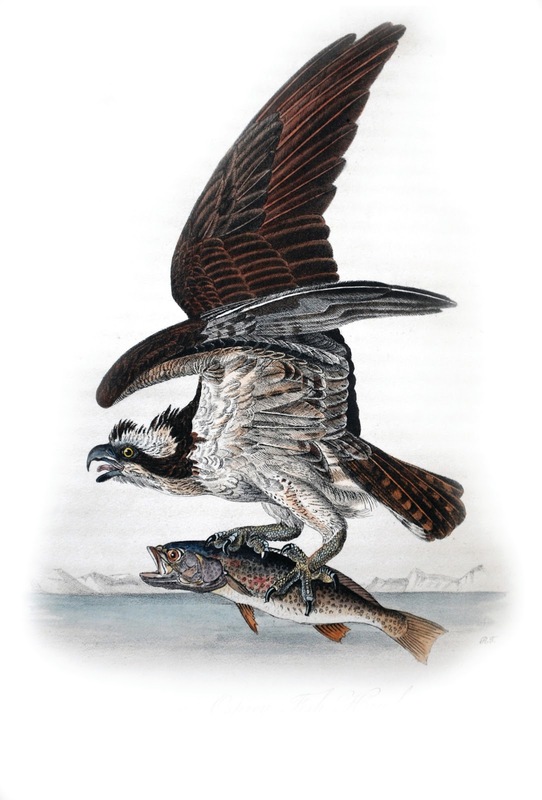 “In Pursuit of Beauty: John J. Audubon and the Golden Age of Bird Illustration” opens Tuesday, October 9, with a reception in the gallery from 5 to 7 p.m., and continues through Friday, November 30. View photos from the opening. The 20 books and 19 prints in the exhibit, on loan from private collections, showcase works by Audubon and other great but lesser-known naturalists—William Beebe, Charles Lucien Bonaparte, Daniel Giraud Elliot, John Gould, and Alexander Wilson. Highlights include an original Audubon watercolor of a pheasant that has rarely, if ever, been displayed, and a 17th-century book with a decree by King James granting his subjects the right to hunt birds on Sundays. According to exhibit curator Alex Castro, who is Architect, Exhibition and Book Designer in Residence at the College, the gallery will be filled with the sound of bird songs and calls. It also will feature video and photographs taken during the bird-banding project underway nearby at the Foreman’s Branch Bird Observatory, part of the Center for Environment & Society at Washington College. Robert McCracken Peck, Curator of Art and Senior Fellow of the Academy of Natural Sciences of Drexel University, has been consulting with Castro on the exhibit. A renowned author, naturalist and historian, Peck says the upcoming Kohl exhibit is remarkable for the quality of prints and illustrations being shown. 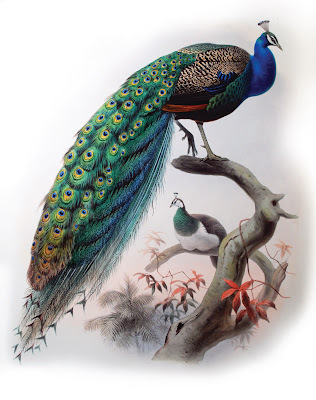 “This exhibition includes representative examples of some of the most beautiful, popular, and/or influential books about birds to be published in Great Britain and the United States over the last two hundred years,” he writes in an introduction to the exhibition. Located on the ground floor of the Gibson Center for the Arts on the Washington College campus, 300 Washington Avenue, the Kohl Gallery is open Wednesday through Sunday from 1 to 6 p.m. and closed Monday and Tuesday. For more information on the gallery, visit http://kohlgallery.washcoll.edu/. 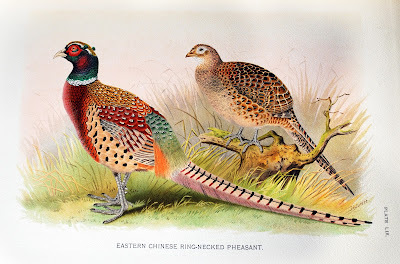 William Beebe's portrait of Chinese ring-necked pheasants.